Dr. Pope is a highly experienced, well respected board certified Obstetrician Gynecologist with a practice drawing widely from the South East Massachusetts and Eastern Rhode Island regions. 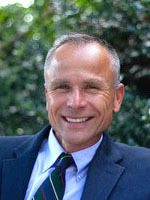 As a long standing medical staff member and an immediate past Chair of Obstetrics and Gynecology at St. Luke’s Hospital of Southcoast Hospitals in New Bedford, MA, Dr. Pope also serves as a contributing newspaper columnist where he is known for his promotion of women’s health topics in The Standard Times. A graduate of the Philadelphia College of Osteopathic Medicine, Dr. Pope received his Obstetrics and Gynecology training at the Tufts University School of Medicine, Baystate Medical Center. He has authored articles in noted peer-reviewed journals as well as book chapters, has received “Excellence in Teaching” and “Outstanding Obstetrical Performance” awards from Tufts University School of Medicine, and was named “SLS Outstanding Laparoendoscopic Resident Surgeon” by the Society of Laparoscopic Surgeons. Most newly, he was honored with the Southcoast Hospitals Physician Recognition Award. Dr. Pope welcomes women suffering from perimenopausal and menopausal hormone deficiency disorders. Dr. Pope is one of a very small number of gynecologists in New England with the experience and formal training to diagnose and assist women with menopause related depression, hot flashes, with loss of sexual interest. Dr. Pope has special interests, experience, and formal training in the management of menopausal hormone dysfunctions. To work in this specialty, he studied and co-managed patients with and received formal didactic training under the auspices of Dr. John Buster, now Professor Emeritus of Obstetrics and Gynecology at Brown University and a recently retired medical staff member at Women & Infants Hospital. Buster is internationally known and is a highly published reproductive endocrinologist and menopausal health and sexual health expert. Buster is long known for his pioneering scientific work on the use of safe, low dose transdermal bio identical estradiol and testosterone, proven in multiple clinical trials to be highly effective in the treatment of menopausal symptoms and mood disorders. Pope, Christian S., Grow, Daniel R., Cook, Elizabeth, Arny, Margaret. Influence of Embryo Transfer Depth on Pregnancy Rate. Fertility and Sterility, Jan. 2004. O’Grady, John P., Pope, Christian S. Vacuum Extraction in Modern Obstetrics: A Critique and Review. Curr Opin Obstet Gynecol. 2000; 12: 475-80. Pope CS, Boley TJ. Successful Pregnancy Outcome With Cardiac and Restrictive Lung Disease: A Case Report and Literature Review. Jour Mat Fet Med. 2001; 10: 64-7. Pope, Christian S., Markenson, GR, Bayer-Zwirello, L, et al. Pregnancy Complicated by Spinal Cord Injury and History of Autonomic Hyperreflexia. Obstet Gynecol 2001; 97: 802-3. Pope C, O’Grady J, MD, Hoffman D. Vacuum Extraction. eMedicine Journal [serial online]. 2001. Available at: http://www.emedicine.com/med/topic3389.htm. Pope C, O’Grady J, MD, Hoffman D. Ectopic Pregnancy & Malposition of the Uterus. eMedicine Journal [serial online]. 2001. Available at: http://www.emedicine.com/med/topic3473.htm. O’Grady, John P., Pope, Christian S. Forceps Delivery. Ballieres Best Pract Res Clin Obstet Gynaecol. Vol. 16, No.1, pp.1-16, 2002. Seubert, David E., Pope, Christian S., O’Grady, John P. Use of Misoprostol in Obstetric Practice. The Female Patient. June 2002, Vol. 27; 6: 27-35. Pope, Christian S., Rabin, Jeanne. Urinary Incontinence: Evaluation and Nonsurgical Management. The Female Patient. Jan 2001, Vol 26; 1: 41-7.